Hong Kong is a city that spreads vertically. A city made of lots of tall buildings. 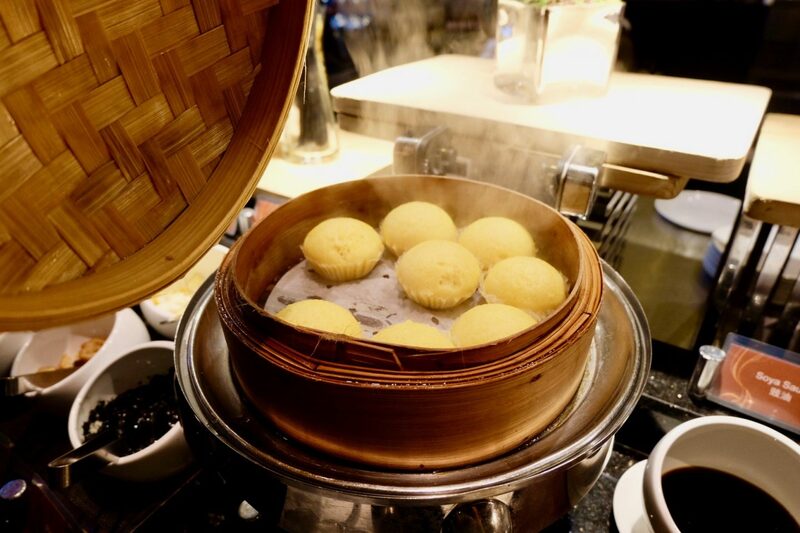 As part of our one month trip to SouthEast Asia and Australia, we decided to have a stop in Hong Kong. 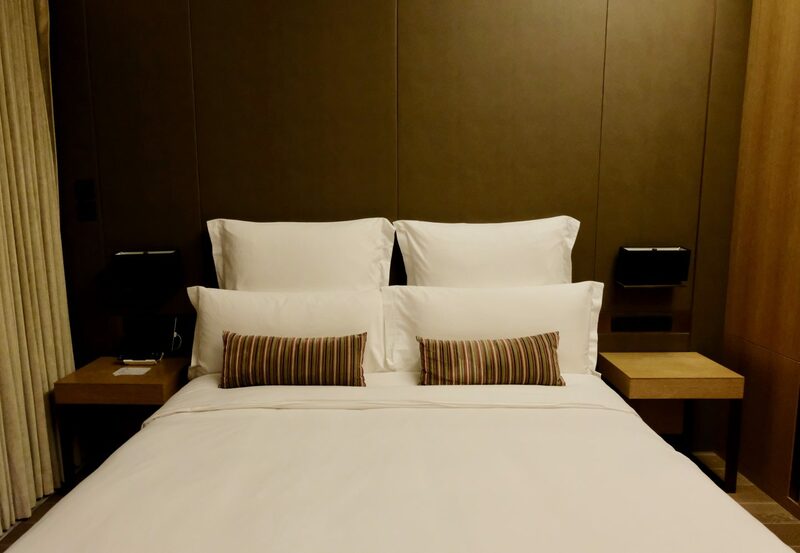 For the first part of our stay in hong Kong, We chose at L’hotel élan. 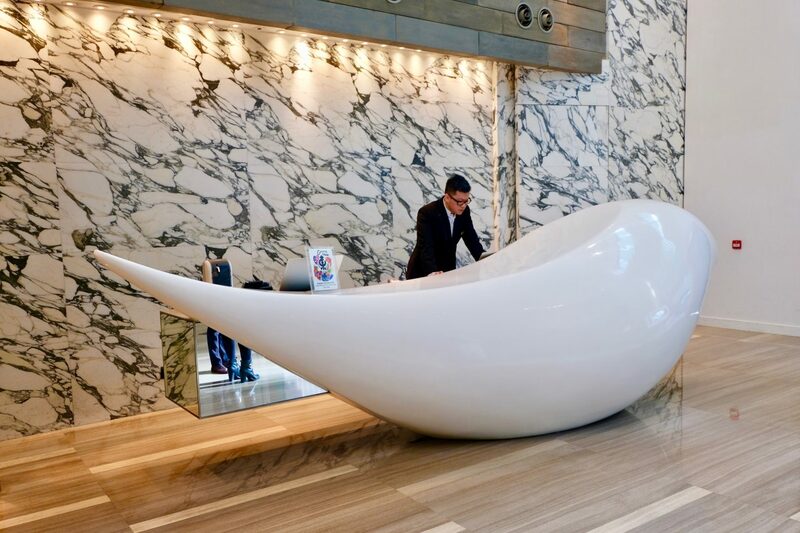 A very modern and stylish hotel located in the business district of Hong Kong. Upon our arrival, we had a very smooth and speedy check-in, and the staff kindly helped us with our luggage. 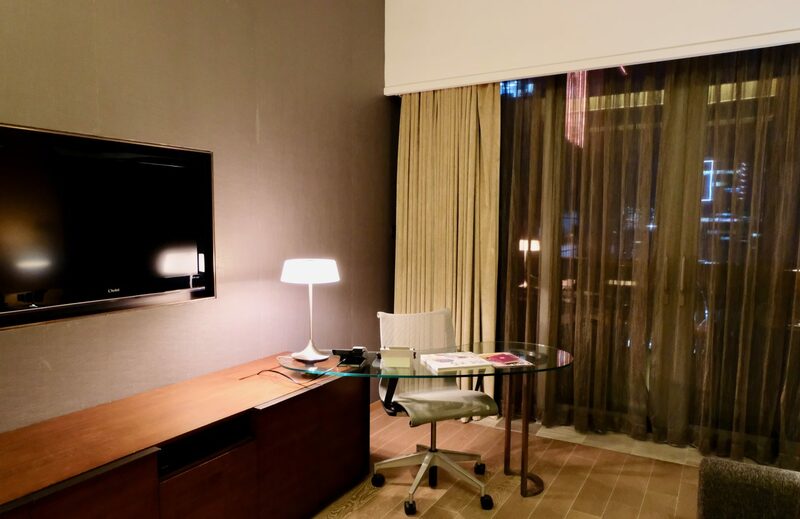 They prepared all the paperwork for us so we could go straight to our room. They showed us our room and explained everything we need to know while staying at the hotel. 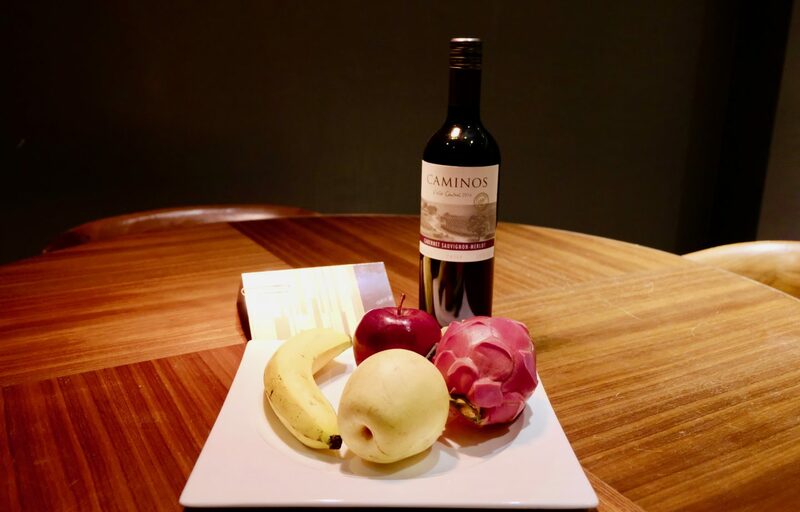 We were welcomed to our room by a nice bottle of wine and selection of fresh fruits. 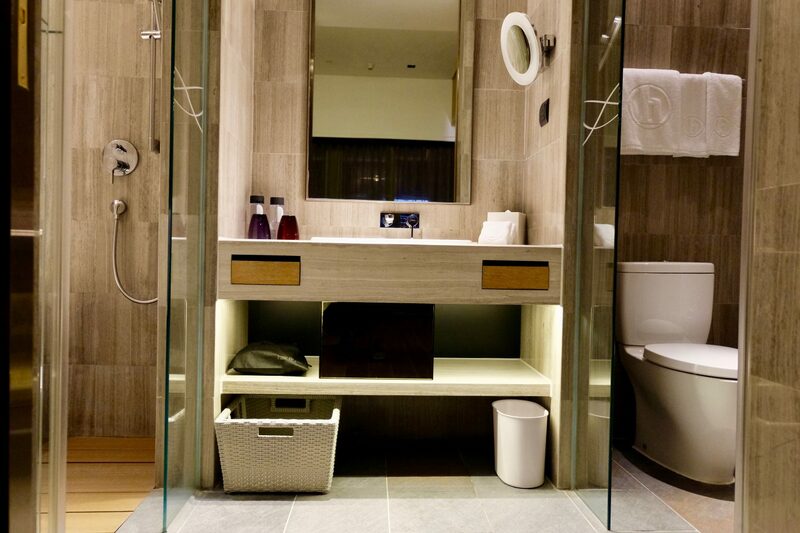 Our room also had a well-equipped bathroom with shower facilities, bathrobe, hair-dryer, extra large washing basin and sliding mirror, makeup mirror and white tea scented bathroom toiletries. 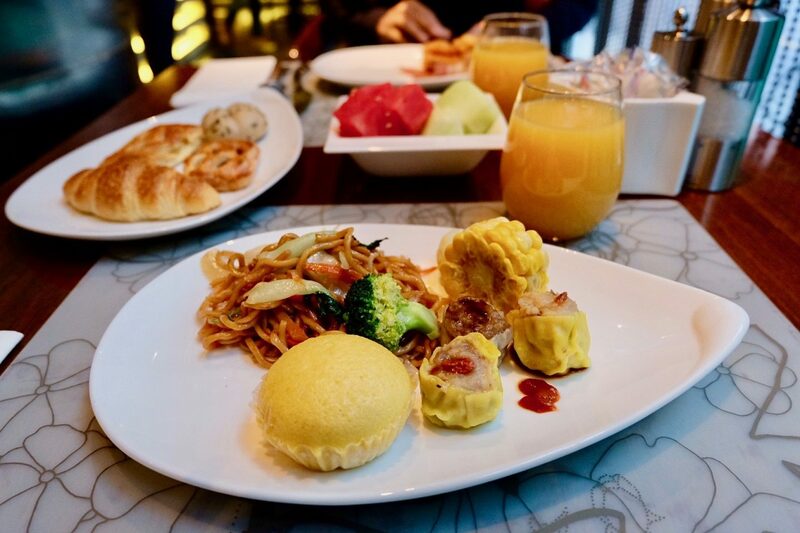 Breakfast is served every morning at the in-house restaurant on the second floor. 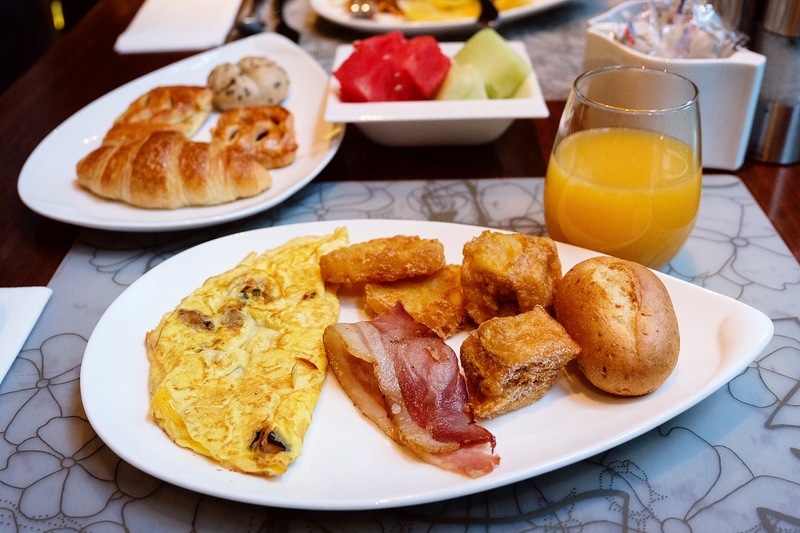 They have variety of options including eggs, bacon, and sausages, as well as fruits, juice, cereal and breads. 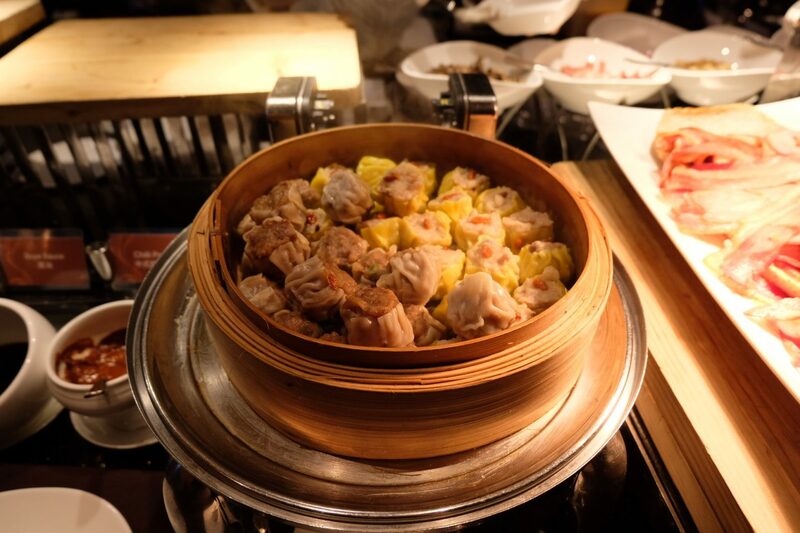 You can also find great selection of asian breakfast such as dumplings, noodles and dim sums. 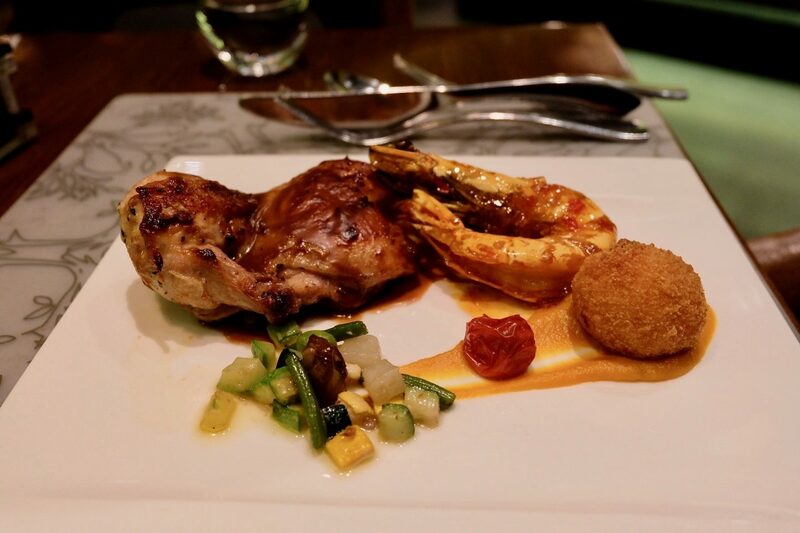 There is a fantastic in-house restaurant on the second floor of the hotel that serves variety of food that makes it very convenient to enjoy food in the comfort of your hotel. 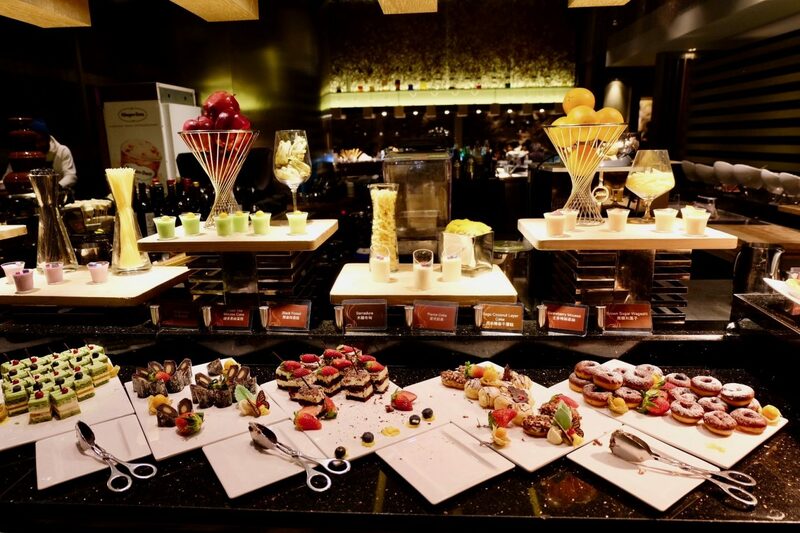 They also have buffet to enjoy with your main course and it is definitely the most amazing buffet table I have ever seen. 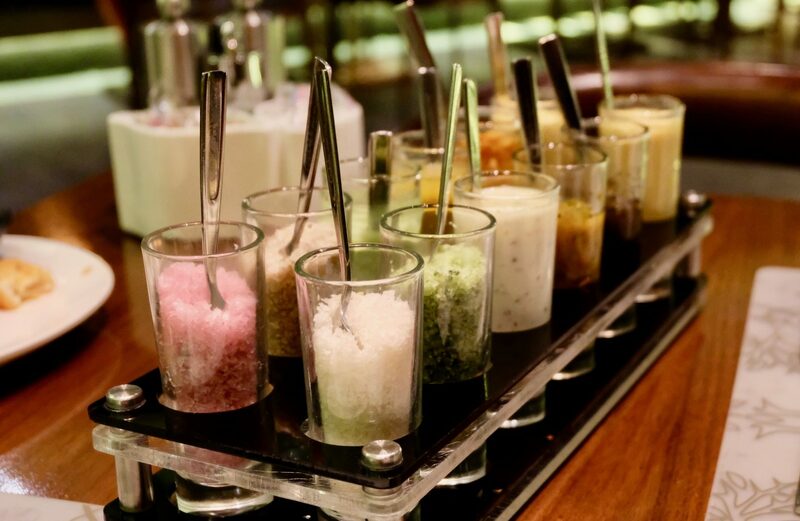 They served multiple types of salads, appetisers, cured meat selection, sushi and dessert. 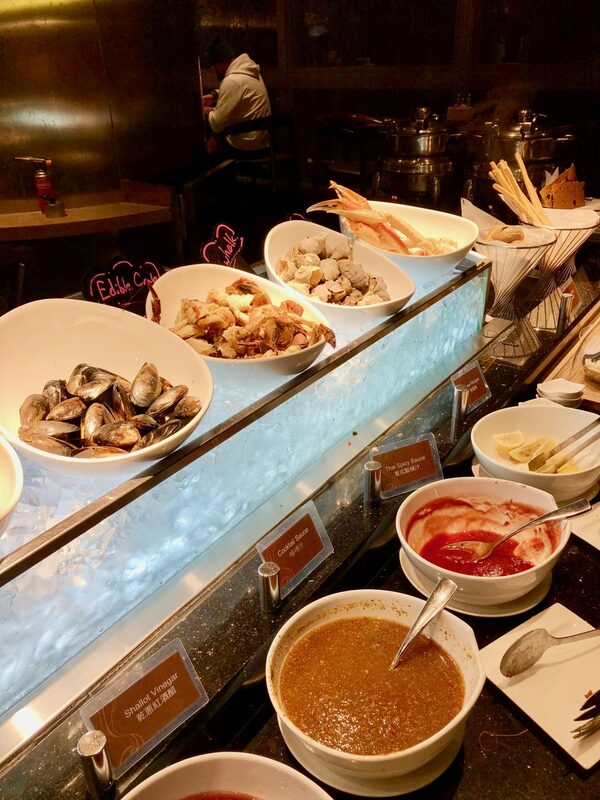 However the best part of the buffet was seafood table where you could find king crab legs, tiger prawns and mussels. The Gym at L’hotel élan is one of the highlights. 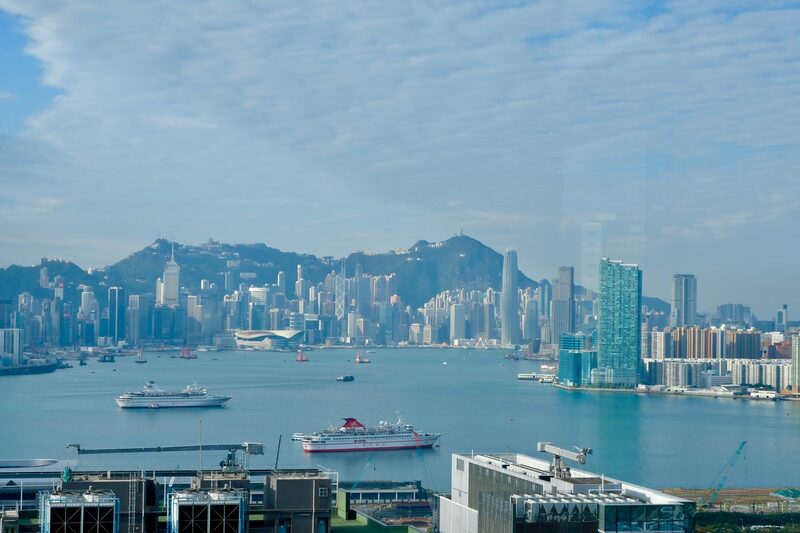 It’s located on 52nd floor with a beautiful view of Hong Kong and the bay area. 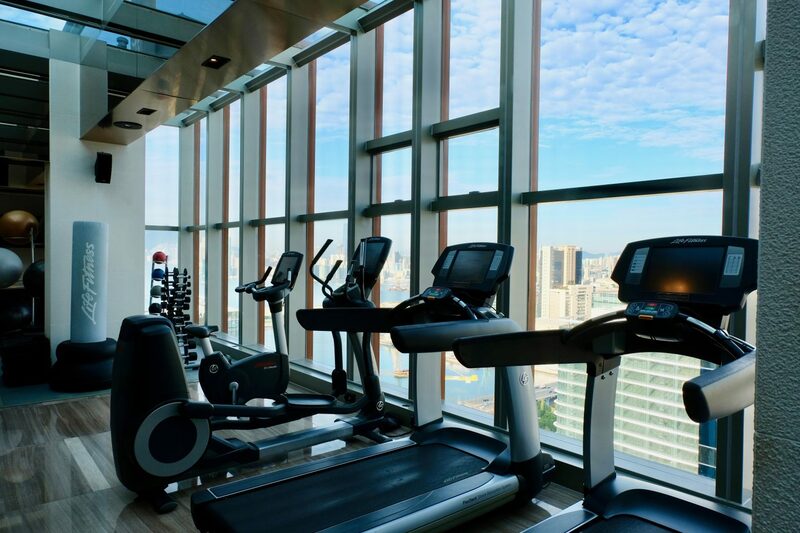 You can easily lost the time while you are working out by looking at the view in front of you. Not bad, right? 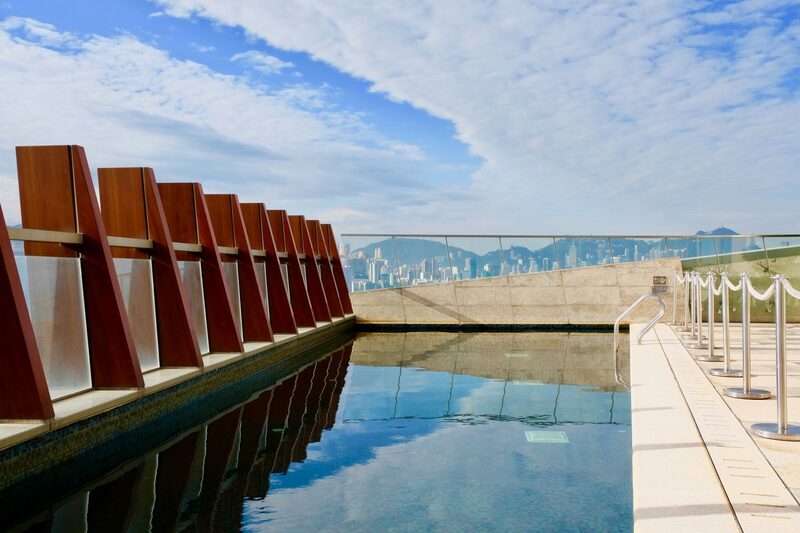 There is also a top roof swimming pool with the view of Hong Kong’s Sky scrappers. Unfortunately the pool is closed during winter and I didn’t get a chance to enjoy swimming with a view. 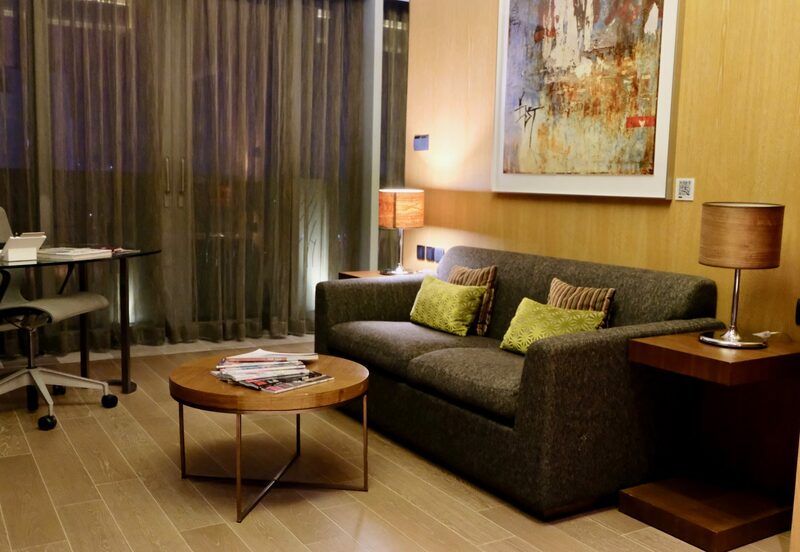 L’hotel élan is almost 50 min drive away from the airport. You can either get Uber to the hotel or use airport express train to reach the center of Hong Kong and another train straight to the hotel.